On Monday evening the City Council's Policy and Resources Committee considered a report on changes to street cleaning and grounds maintenance. Before the meeting I listened to trade unionists who were lobbying the council about this. I was pleased to listen to Unite members who work in street cleaning. They told me that there had been no meaningful consultation with staff and trade unions and that they felt that the proposals were flawed. These proposals wee first dreamt up in the secret Changing for the Future Board where press and public are barred. Just prior to the meeting all councillors were invited to a briefing on Participatory Budgeting. This is about including the citizens of Dundee in the budget making process. I think that this is a good idea and have previously called on the council to carry out a full open consultation on the budget with the people of Dundee. Street cleaning and open space maintenance are areas of service that contributed to Dundee winning the Britain in Bloom award. A few weeks ago the council rightly praised the work of the staff in these areas. Now the council appears to be saying that this is not important. I acknowledge that these are difficult times and that cuts from Holyrood and Westminster are having an impact. Surely though we should listen to the views of local people and to the views of the workforce. The council consults on all sorts of things, indeed there is a consultation going on at the moment on the length of the school day despite this not being council policy. I want to give the people of Dundee a say in whether they think the city should be dirtier or not. If this policy is right then what is there to fear from sharing information and listening to the public? We were told that Dundee is near the top of the Premier League in these areas. We should celebrate this. I am unaware of any Premier League team that would go out of its way to make sue that they got worse. I want meaningful consultation with the workforce and their trade unions. The workforce, those people who contributed to winning Britain in Bloom, why wouldn't we listen to them? I think that the council should be open and transparent with the budget process. It is clear that this is a money-saving exercise and perhaps the Administration and the officers should just be clearer about that. Fundamentally I think that we should listen to the workers and to the people of Dundee and use that as a means of developing policy. I was disappointed that my attempt to have a full consultation that would have allowed the people to have their say was defeated by a coalition of SNP, Tory and Lib Dem votes. The West End Community Council serves most of the West End ward. The Community Council is a statutory body which is often consulted on policy and planning issues which impact on the West End. Nominations are now open for the West End Community Council. These nominations have been re-opened because not enough nominations were received previously. If enough people do not come forward then the West End Community Council will fold. If you live in the area covered by the West End Community Council please have a look at the details here and see if you would like to be a Community Councillor. No Ball Games - What do you think? I have asked Dundee City Council for its views on whether we should follow Aberdeen City Council's lead and take down the 'No Ball Game' signs. I am also seeking the views of local residents about this issue. 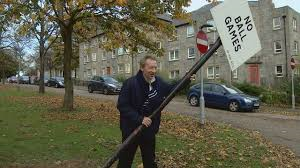 I was very interested to see media reports of Denis Law taking down 'No Ball Game' signs in Aberdeen. I know that there are strong opinions around this. I know that local residents need to be able to live in peace in their own homes but I also know that for many reasons we should be encouraging young people to be more active. I am asking Dundee City Council for their views on this. I would really welcome the views of local people about this. Is there a way to encourage more activity from young people at the same time as ensuring that people can live in their own homes in peace and quiet? On Wednesday I joined a number of colleagues, veterans and members of the public for the two-minutes silence to mark Armistice Day. This is always a very important day and it is remarkable to watch as the centre of Dundee comes to a standstill for a couple of minutes. 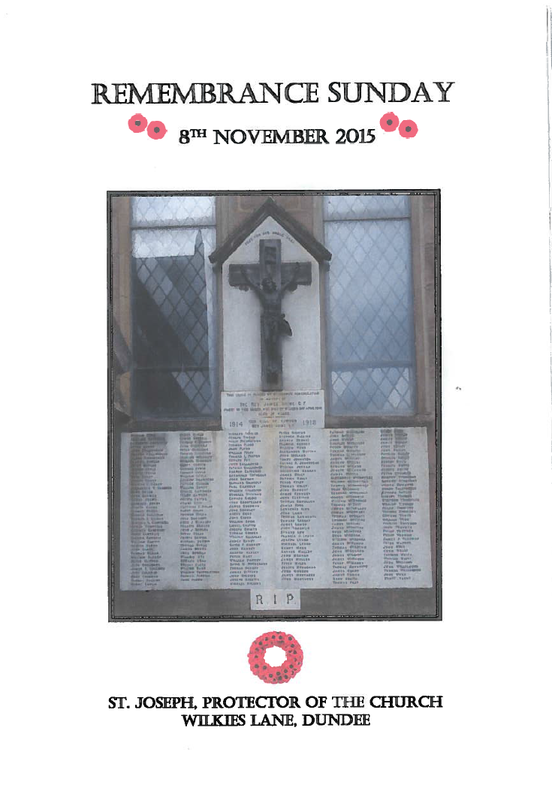 I think that it is important that we remember the impact of war and those who have lost their lives in wars. This is not about glorifying warfare but rather about remembering the impact of war on real people and families in our community. 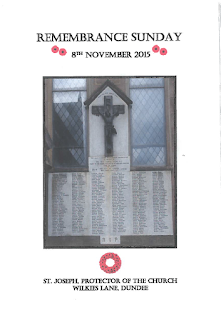 I was reminded of this on Sunday as I stood at the war memorial at St Joseph's Church in Wilkie's Lane. The war memorial there contains 234 names and when it was unveiled in 1924 it was said to be the biggest number at any church in Dundee. It is sobering to think that all of those names are of people who lived and worked in the West End. The congregation at St Joseph's are trying to find out something about all of those named on the memorial in order to tell the stories behind the names. One of the names on the memorial is that of Fr James Shine, an Irish priest who served at St Joseph's until 1915 who was killed in France in 1918 while serving as a British Army chaplain. I spoke about Fr Shine at a conference at Bath Spa University in the summer. I think that this is a very interesting story which deserves to be much better known. I am a strong supporter of Great War Dundee which aims to mark the centenary of the First World War in a variety of ways, and reflect the many different aspects of life in the city which were impacted by the First World War. The Great War Dundee project is trying to find the stories behind the city's roll of honour, and has launched an online version of the roll of honour. If you have a story of a family member then Great War Dundee want to hear from you. 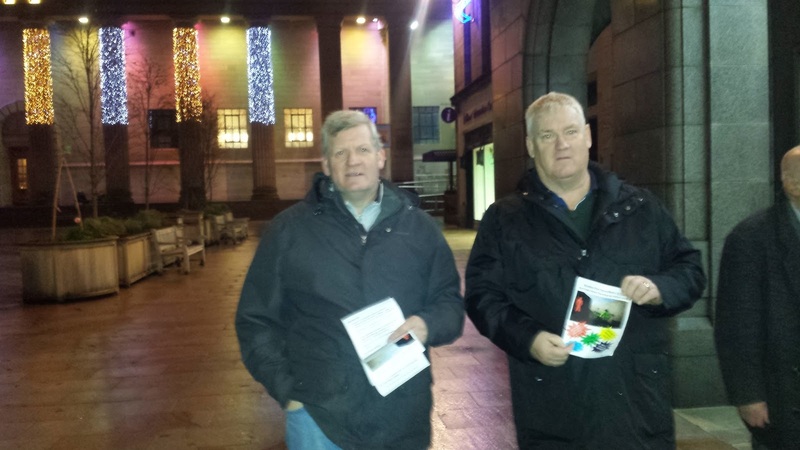 On Monday evening Dundee City Council discussed TTIP, the Transatlantic Trade and Investment Partnership. This item had been put on the agenda at the request of Councillor Jimmy Black. As my awareness of TTIP has grown over recent times I have become more and more opposed to TTIP. 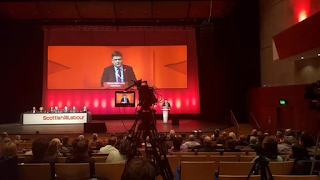 For this reason I was pleased to be able to vote on behalf of the Scottish Co-operative Party to oppose TTIP at the recent Scottish Labour Party conference in Perth. It was also clear that there is strong opposition to TTIP from many trade unions. 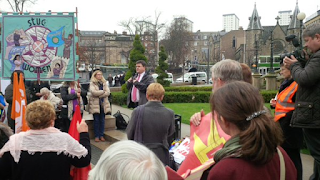 The committee heard from representatives of Dundee Stop TTIP. It was clear from their contribution that they were opposed to TTIP in its entirety. The motion put forward by Councillor Black talked of the council having 'serious concerns' about TTIP. TTIP is meant to be a trade agreement. I find the secrecy around the negotiations very worrying. The proposed use of quasi-judicial measures, such as an Investor-State Dispute Settlement system, under which multi-national corporations may sue elected governments whose laws or actions are deemed to be contrary to the operation of the so-called free market and free trade. TTIP could have a detrimental impact on the environmental protections which we need and which are in place to some extent in the EU. I am opposed to any erosion of environmental standards as I think this would negatively impact on attempts to tackle climate change. The video at the top of the page outlines some of the arguments against TTIP and is from the Stop TTIP campaign. My opinion was that 'serious concerns' just did not go far enough. I oppose TTIP and that, in my opinion was what the council should support. As you will see the motion below is in three parts. I agreed with the points put in the first and second part, I just felt that the conclusion proposed just didn't go far enough. I was pleased to move an amendment which said that we opposed TTIP, the text of the motion is below and my amendment is below that. I am pleased that my amendment was agreed to and thank those councillors who voted for this. 1. That the EU and USA are negotiating a Transatlantic Trade and Investment Partnership (TTIP). 2. That negotiations are underway to determine which goods and services TTIP will apply to and if new rules can be agreed to protect investors, harmonise standards, reduce tariffs and open new markets throughout the EU and USA. 3. That there has been no impact assessment about the potential impact on local authorities. 5. That MPs are also unable to scrutinise the negotiating documents. 1. TTIP could have a detrimental impact on local services, employment, suppliers and decision-making. 2. A thorough impact assessment of TTIP on local authorities must be undertaken before the negotiations can be concluded. 4. The EU’s food, environmental and labour standards are better than those in the US and TTIP negotiations must raise and not lower these standards across the EU and USA. 5. Sourcing supplies and employment locally is important to strengthening local economies and meeting local needs. TTIP must not impact on local authorities’ ability to act in the best interests of their communities. 1. To write to the Secretary of State for Communities and Local Government, The Right Honourable Greg Clark, MP, the Minister for Local Government and Community Empowerment, Marco Biagi, MSP, local MPs, MSPs and all Scottish MEPs raising our serious concerns about the impact of TTIP on local authorities and the secrecy of the negotiating process. 2. To write to COSLA to raise our serious concerns about the impact of TTIP on local authorities and ask them to raise these with the Westminster and Scottish Governments on our behalf. 3. To call for an impact assessment on the impact of TTIP on local authorities. 4. To publicise the Council’s concerns about TTIP; join with other local authorities which are opposed to TTIP across Europe and work with local campaigners to raise awareness about the problems of TTIP. 1. To write to the Secretary of State for Communities and Local Government, The Right Honourable Greg Clark, MP, the Minister for Local Government and Community Empowerment, Marco Biagi, MSP, local MPs, MSPs and all Scottish MEPs raising our opposition to TTIP on local authorities. 2. To write to COSLA to raise our opposition to TTIP and ask them to raise this with the Westminster and Scottish Governments on our behalf. 3. To call for an impact assessment on the potential impact of TTIP on local authorities. 4. To publicise the Council’s opposition to TTIP; join with other local authorities which are opposed to TTIP across Europe and work with local campaigners to raise awareness about the problems of TTIP. I was pleased that Councillor Black was prepared to accept my amendments even though, the SNP have yet to make clear that they oppose TTIP nationally. I felt that it was right that Dundee City Council spoke with nearly one voice on this topic. I will continue to campaign for openness and transparency in world trade and for a trade system that looks after the interests of workers and the environment. There is legislation going through the Scottish Parliament just now which will make changes to private tenancies, Private Housing (Tenancies) Bill. Local people will know that private tenancies are important in the West End. There are some contradictions in this bill. One of the main proposals in the legislation is to make it more difficult to evict tenants. This is something which I think is to be welcomed. At the moment too much power rests with private landlords and people should have more security of tenure. This legislation might make it harder for anti-social tenants to be evicted. There are fears that frightened or intimidated neighbours might not be willing to speak out at tribunals being proposed in the Scottish Government’s Private Housing (Tenancies) Bill. I have constituents who are already living in fear next to anti-social tenants and would not be willing to make themselves known. There are definitely people who have spoken to me who are at the end of their tether with anti-social behaviour but they don’t want to come forward and have their neighbours know they have complained. I hope that MSPs will be aware of this dilemma as this legislation moves through the Scottish Parliament. It is important to ensure tenants get more power but it is also important that anti-social tenants can be dealt with effectively. Private rented accommodation is a major part of the housing offer in the West End. It is important that the correct checks and balances are in place to ensure to make sure tenants are protected and anti-social behaviour is not tolerated. I am proud to be a member of the GMB a trade union with a long and proud tradition of improving the lot of workers right across the country. The Conservative Government is proposing to bring in legislation that will limit the freedoms of trade unions. I think that people have a human right to organise in the way in which they see fit. The government is planning to legislate to limit the freedom to organise. I am particularly concerned about proposals that mean that check off will be banned in the public sector. Check off is a system that allows people to pay their trade union membership from their salaries. Public bodies actually make money out of this activity. It is also used, rightly, to make donations to charities or pay for things like bicycles, these activities are not being targeted so it is clear that this is an attack on trade unions. Trade union officials are sometimes given the ability to spend some time on union activity whilst at work, this is known as facility time. This usually contributes to better industrial relations. The proposal is to outlaw this. There is also a proposal to allow the use of agency staff to break strike action. Strike action is taken as a last resort and not taken lightly. It is a human right to be able to withdraw your labour and just wrong that attempts are made to undermine that right. 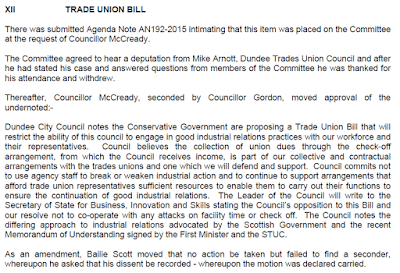 On behalf of the Labour Group on Dundee City Council I moved a motion which committed the council to oppose the bill, and to refuse to co-operate with it. The council is committed to maintaining check off, maintaining facility time and refusing to use agency staff to break strikes. I was really pleased that the council spoke with near unanimity in support of my motion. 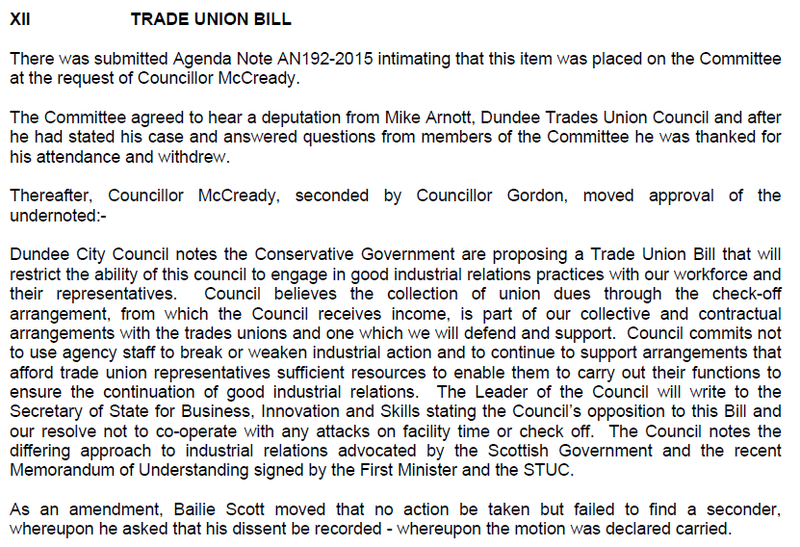 Dundee's only Conservative councillor could not bring himself to support my motion. I was also honoured to be asked to speak at the demonstration organised as part of the STUC Women's Conference. I made many of the points made here and highlighted the important contribution of trade unions, and in Dundee especially women trade unionists to the history of Dundee. I support the right of people to join a trade union and to organise as they see fit and I hope that the UK Government will have a change of heart and that the campaign by trade unions is successful. I am calling for immediate action to resolve the on-going parking chaos that uncontrolled commuter parking is having on residents in areas of the West End. Dundee City Council recently agreed to take over car parks from the University of Dundee at Miller's Wynd, off the Perth Road and at Hunter Street, just off the Hawkhill. For years now, the SNP administration on the city council have ignored the needs of local taxpayers living in parts of the city’s West End closest to the University and the city centre. Instead, they have put the interest of commuters who park for free and clog up residential streets and local unrestricted car parks in the West End, above that of their own citizens. This is one of the most frequent and highly charged complaints that local people, residents and businesses, raise with me as a local councillor. It is now time to redress the balance and that is why I am demanding that this issue is taken seriously by the administration and steps are taken to resolve the problem as soon as possible. I know that we have looked at a residents' parking scheme, but the one-size fits all approach was not the answer and neither was the cost. I think that the council should look at the possibility of different solutions in different streets. We must also address our reliance on the car. I want to hear from local people about what they think could be done to help solve some of the problems which parking causes in the West End. 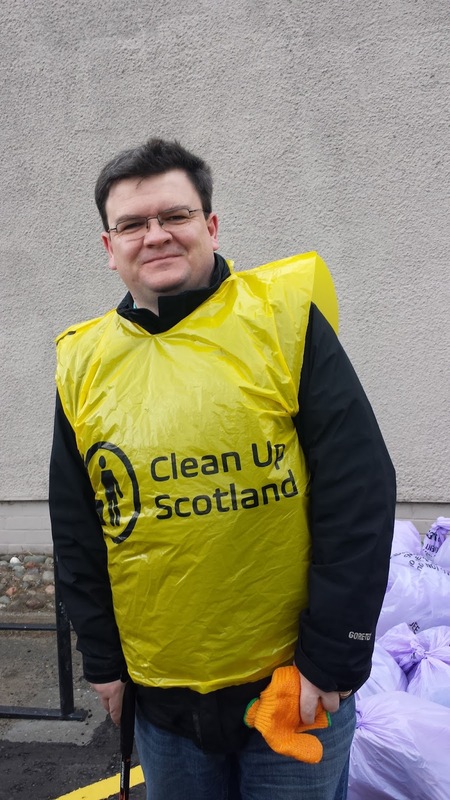 As Dundee Labour's Environment spokesperson I am calling for real action to combat dog fouling in the city. I welcomed new plans by the City Council's Environment Department but there must be stronger enforcement. I welcome the report which was agreed on Monday evening. (pages 3-10) It is good to see that the number of officers of the council who can now issue Fixed Penalty Notices for dog fouling has now increased to 23. My experience and the experience of my colleagues in the Labour Group is that when we ask for action on dog fouling we are told that there is only one officer available. Indeed on Monday evening in the Council Chamber SNP Councillor Ken Lynn agreed with me and said that he had received the same response. It is good that the number of officers who can issue Fixed Penalty Notices has increased but if they are not actually combating this disgusting practice on our streets it is a pointless exercise. I have contacted officers in the Environment Department looking for more information about who is able to issue Fixed Penalty Notices and how often each officer is issuing them. I am concerned that it is difficult to ensure that Fixed Penalty Notices are paid and I will be looking for ways in which we can ensure that those who are irresponsible enough to allow their dogs to foul our streets know that there is a penalty which will have to be paid. Most dog owners in Dundee take their responsibilities seriously, it is important that those that don't are aware that there will be zero tolerance of dog fouling in our city. There was also interesting developments about the licensing of professional dog-walkers and that is an area where I will be looking for updates. There was also the development of dog walking trails on Balgay Hill and at Dawson Park. On Monday evening Dundee City Council unanimously agreed to support the council taking part in the Syrian Vulnerable Person Relocation Scheme. (The report is on pages 3-5 of the document.) I have previously stated by support for refugees. There is still a lot of details to work out with regard to this scheme and I have asked about the numbers that the council might be able to welcome. 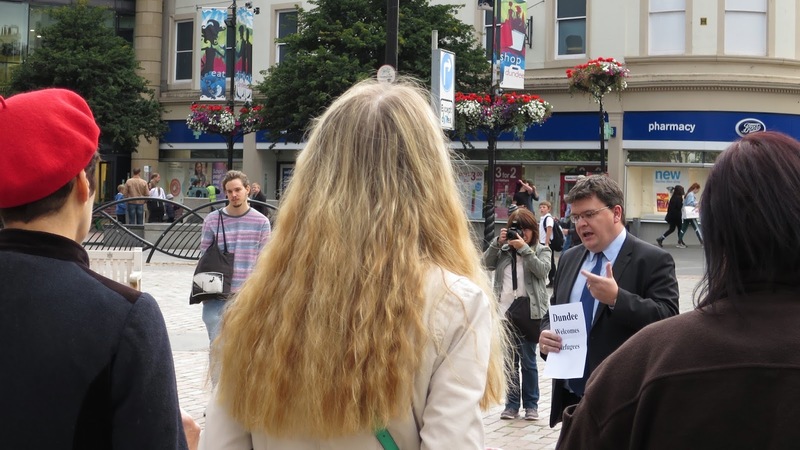 It was good to speak to people outside the meeting who were making the point that refugees are welcome in Dundee. It was also good to hear from the deputations in the meeting about the work which is going on to offer practical help to refugees. One of the main ones is the Dundee Refugee Support group, their Facebook page is here, please support them if you can. My colleague Councillor Kevin Keenan asked that the council look at what support it can give either in kind or in a charitable donations to support the work of these organisations in Dundee. I was pleased that the council spoke with one voice on Monday evening. It is important that we continue to look for ways to support refugees and also find a solution to the problems which cause people to leave their homes and seek refuge elsewhere. I'm calling for support for WestFest and want to pay tribute to those volunteers who have made the event possible over the last few years. Like many other people who live in the West End I have enjoyed WestFest over the years. It has grown considerably since I helped organise meetings to look at the possibility of an event in the summer. I was sorry to hear that the event is under threat. I would urge as many people as possible to go along to the AGM and volunteer.‎ I would want to pay tribute to those committee members who have played a crucial role over the years in making WestFest the success it has become. The AGM takes place on Thursday 24th September at 7pm in Blackness Library, please go along if you can or get in touch with the committee if you can't make it but would want to help. 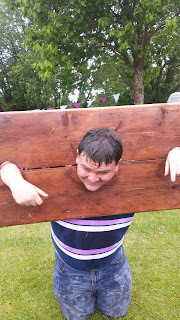 I have enjoyed WestFest from the start and it also allowed me and a few hundred others to briefly become world record holders for taking part in the world's largest piggyback race. You can see this historic occasion in the video above, you can spot me and my daughter at about 45 seconds! 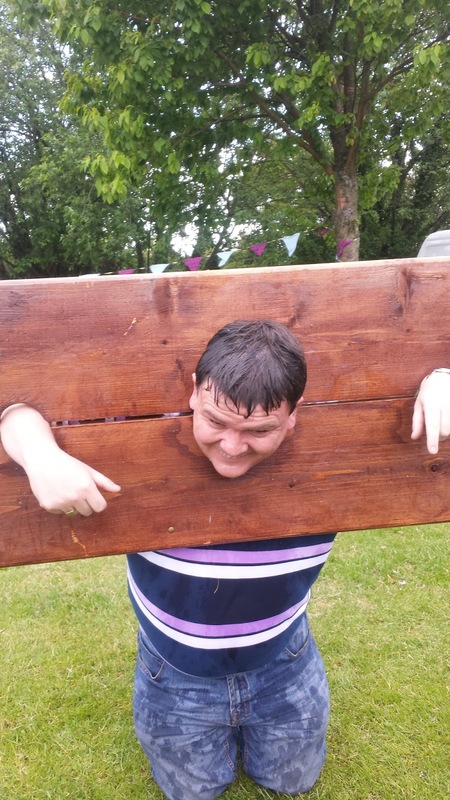 I will be contacting the council to see what further support they could offer to WestFest. 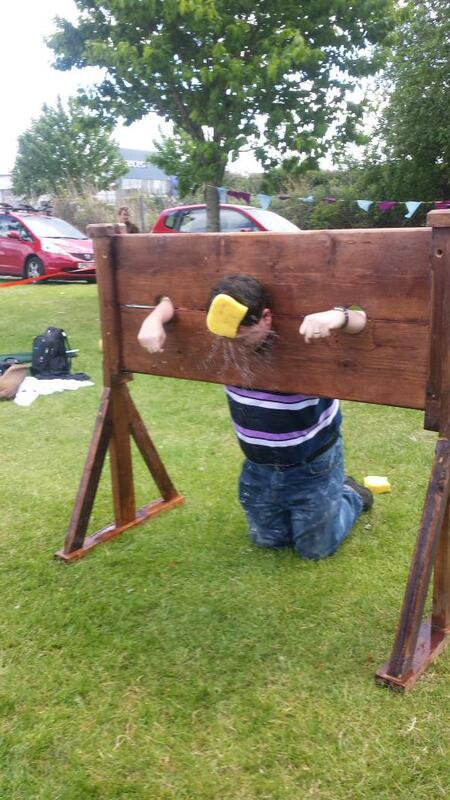 I would also appeal to local businesses to consider offering sponsorship which might help WestFest to continue. I know that many, many people have been moved by the plight of refugees which has become increasingly clear over the last few days. Many people in Dundee have been looking for ways to take practical actions to assist refugees. 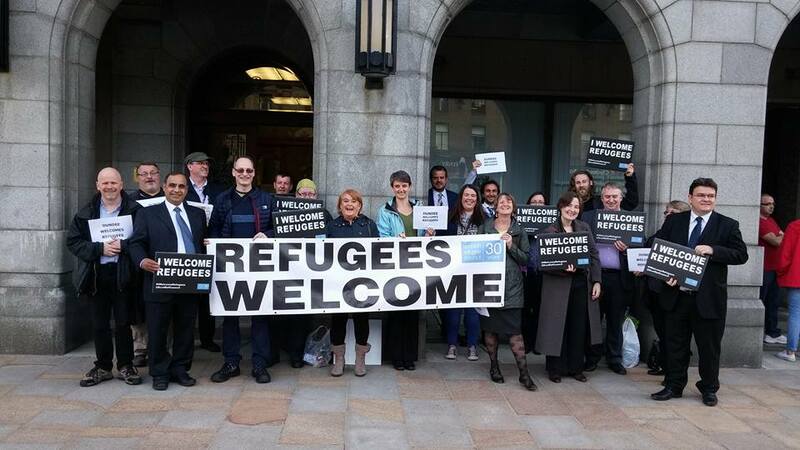 On Friday evening I attended a vigil organised at short notice which made the point that 'Dundee Welcomes Refugees'. I am acutely aware that there are many problems facing people in Dundee and that we need to focus on them. Dundee, however, does have a strong track-record of welcoming refugees and other immigrants. The history of our city is a history of immigration, and it is true to say that many people over the years have sought refuge in Dundee and have received a welcome. I was surprised to be asked to speak and made a brief contribution, you can watch a video of the vigil here. 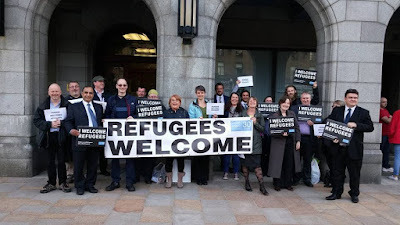 My main point was that I am sure that across the council there is support for offering a welcome to refugees but that people should contact their own councillors to tell them that they think that action should be taken. It is important to recognise the human dignity of each and every individual human being and this means that we cannot ignore the plight of those who are fleeing war and persecution in the Middle East (and elsewhere). It has been good to see the UK and Scottish Governments eventually agree to work to welcome refugees. I have asked Dundee City Council officials about the response that the council can give. 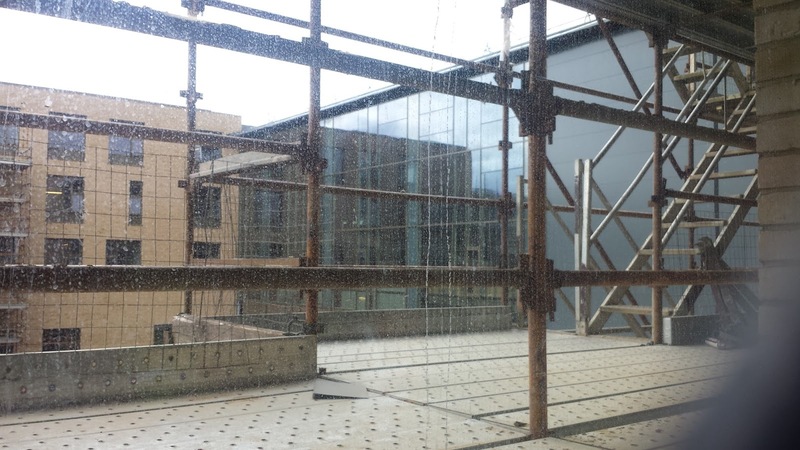 The early indications are that the council will be able to offer some help and the Scottish Government appears to be looking for ways of helping to fund this. I am clear that we should be working for an international situation which does not lead to the creation of refugees. How this happens is very difficult to tell but we must work towards it. An international situation where justice and peace are the watchwords would go a long way to preventing refugee situations arising. A few years ago in a previous job, I was partly responsible for writing the policy of Justice & Peace Scotland with regard to refugees, asylum seekers and immigrants, and while this is document is motivated from a Christian viewpoint it does represent my views and I think still has something to say to everyone no matter what they believe. 'Now is not the time for posturing and point scoring. 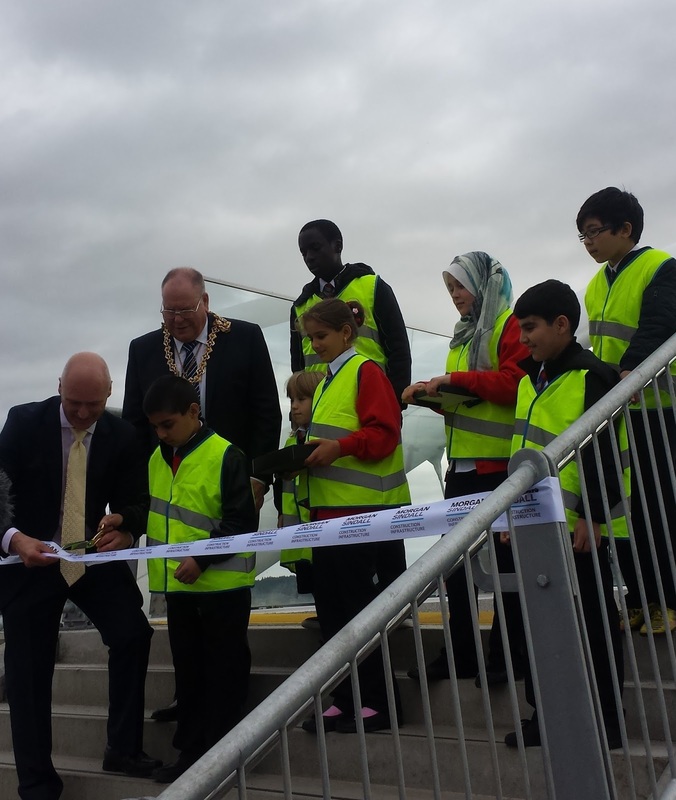 I was pleased to be able to attend the official opening of the Seabraes Bridge on Friday. This bridge links the West End/Perth Road area with the Waterfront. I think that it is important that we recognise and make use of the magnificent setting we have for our city and re-establish links that have been broken between the city and the Tay over the years. I hope that this bridge will provide a link between the waterfront and the West End. I hope that many people will be encouraged to visit the attractions of the West End by crossing this bridge and that this will benefit West End shops and businesses. In February of last year I raised some concerns that this bridge might have a detrimental impact on the Perth Road shops. I was advised by the Director of City Development that he did not think that this would be the case. As I said at the time it was good to hear his opinion but I will be monitoring this. For those of us who live in the West End it is great to have a relatively vibrant shopping district with a variety of shops, cafés, pubs and restaurants, we must do all that we can to protect it. On Friday I was delighted to visit the Flower & Food Festival at Camperdown Park. I was volunteering at the Dundee Fairtrade Forum stall. 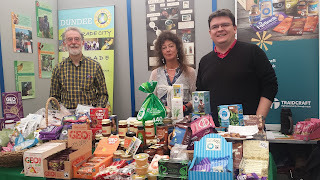 I am the Convener of the Dundee Fairtrade Forum and the Flower and Food Festival offers a great opportunity to promote the benefits of Fairtrade. As a Fairtrade City it is right that Dundee uses the Flower and Food Festival to promote Fairtrade. The festival is continuing over Saturday and Sunday and I hope that there is good weather. I hope that when people visit the Festival they will look out for Fairtrade products at all of the stalls and catering outlets. Fairtrade is about making sure that the human dignity of workers is respected and that workers receive a fair wage for their work and that they work in a safe environment. As a strong supporter of the co-operative movement it is interesting to note that many Fairtrade businesses are co-operatives. The Flower and Food Festival is a great day out and well worth a visit. I was pleased to see many friends and community groups represented at the festival. I am surprised that Dundee City Council is recommending that the contract to build the new Rail Station in Dundee should be awarded to Balfour Beatty. Balfour Beatty along with a number of other firms has been considered guilty of operating a blacklist in the past. I've been campaigning on this issue in Dundee over a number of years and was successful in getting the council to adopt a strong policy against blacklisters. My motion which was agreed unanimously in April 2014supported the Scottish Government's stance. I cannot understand how councillors can have voted for a strong stance against blacklisting and then would let this go through without making their views known. I have written to the Chief Executive asking for an explanation of how it is that Dundee City Council's own policies are being ignored. I will be trying to get the council to take a stance against blacklisting at the meeting of the Policy & Resources Committee. Blacklisting is wrong, it is wrong to deny people work because of their trade union activity, or because they are concerned about health and safety. This is public money which we are spending and we should be doing all that we can to ensure that it is spent ethically. I have been campaigning since I was first elected for improvements to Dundee Rail Station which has offered a very poor welcome to our city for a number of years. I want to see improvements at the Rail Station but we cannot ignore our previously stated policies to get it. I am disappointed with the response which I have received. I think that targeting a community event such as WestFest was a huge mistake, and that it should be acknowledged as such. People who received a Penalty Charge Notice have a right of appeal and should pursue that right but it is disappointing to see the council stand by its actions on Sunday. I have campaigned against parking on Magdalen Green since I was first elected, it was one of the very first issues I raised on the council. I have not always felt as supported as I could have been by the council's bureaucracy on this issue. I is hope that this the first step on the council's plan to eradicate parking on Magdalen Green? I am seeking further answers about a number of issues around this. The only positive that I see in the council's response was the offer to meet with the WestFest organisers to discuss what went on and look to see if there are any lessons which can be learned for future years. It is hugely disappointing that the issue of parking tickets is overshadowing what should be the real story of the WestFest. The real story should be about the amazing success it was. We should be congratulating the organisers for all their hard work in their own time creating a magnificent event enjoyed by thousands of people on Sunday. On Monday along with my colleagues Councillor Laurie Bidwell and Councillor Georgia Cruickshank and my ward colleague Councillor Fraser Macpherson I visited the building site at Harris Academy on the Perth Road. 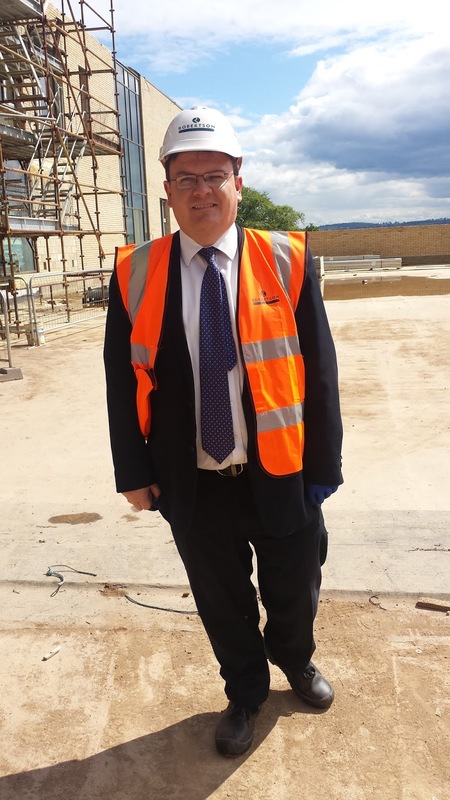 It was good to see progress being made at the site and I hope that it will remain on course for the school to re-open on the Perth Road in August 2016. 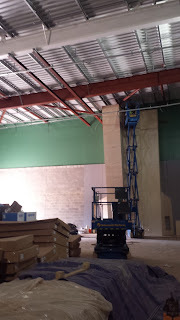 There has been significant progress made since the last time I was on site. It is starting to look more and more like a school now. I would like to congratulate the organisers of WestFest for yet another great day on Magdalen Green. I was disappointed to see the event targeted by traffic wardens. 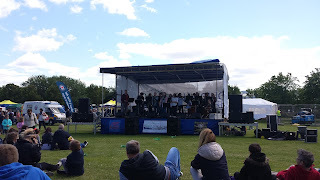 Yet again WestFest organised a great event on Magdalen Green today. Well done to everyone involved in the organisation of the event. It is great that so many people give up their own time to create such a great event for the entire community. There were huge crowds there today and everyone seemed to be having a great time. friends and relations were keen to donate to the restoration of the Magdalen Green bandstand! I was disappointed that cars parked near the green were targeted by traffic wardens during the event. I recognise that there is a need for parking regulations but it seems wrong that people were targeted whilst attending a great community event today. I will be asking Dundee City Council to explain why this happened today. I was surprised to find out that in the last financial year less than half of the fixed penalty notices issued for dog fouling were paid. I was also surprised at the relatively small number of fixed penalty notices issued. If you live in the West End and there is a problem in your area with dog fouling do not hesitate to get in touch with me. Dog fouling is disgusting but it is also dangerous. Dundee City Council should do all that it can to eradicate this revolting practice from our city. I am surprised about the low number of fixed penalty notices issued across the city. I am astonished that so many of the fixed penalty notices go unpaid. The council must ensure that the full force of the law is used against people who insist on letting their dogs foul on our pavements. I will be seeking a meeting with officers to discuss the issue. I want to be sure that Dundee City Council is putting enough resources into stopping dog fouling. Dog fouling has a detrimental impact on the quality of life in some areas of the city. Whilst the council can do a lot of things to deter dog fouling and punish offenders it is clear that the most straightforward solution rests with dog owners. Dog owners should clean up after their dogs and take responsibility for their dogs. If they are not prepared to do that then maybe they should not own a dog. 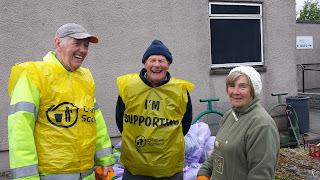 ﻿﻿I was really pleased to see so many local people taking part in this litter pick. It was a great chance to make a difference for our local community. It is important that people respect our parks and keep them as clean as possible. Whilst taking part in the litter pick it was good to also get the chance to enjoy the views from Balgay Hill and enjoy being in the park. Well done to everyone who took part. It is hugely important that we recognise the great resource that we have in our parks in the city. Lochee park and the whole of Balgay Park forms an oasis in the centre of the city. I certainly take a pride in Dundee and I will continue to do what I can to protect our open spaces and make sure that they are as well maintained as possible. Dundee City Council has published the annual returns of councillors' salaries and expenses. You can see the return here. You will see from this that in the last financial year I received the nationally agreed pay rate for backbench councillors of £16,560. I also have a mobile phone provided by the City Council which this year cost £213.86, this bill was paid directly by the City Council. There are a number of other categories where I could have claimed expenses, I have chosen not to. Councillors are expected to undertake training on an on-going basis, over the last year here are some of the topics covered, I have attended most training. As I have said on a number of occasions I am happy to discuss any issue around my expenses with any constituent. Food Safety - What have they got to hide? On Monday night at the Environment Committee there was a report on an audit of the work done by the council's Food Safety Service. This is a good report, it is clear that there is a lot of good work going on in Dundee, and that this work aims to stop bad practice and keep the public safe. What concerns me is that the people of Dundee don’t know about it. People who have visited restaurants or take-aways may have seen certificates from the Food Hygiene Information Service displayed. It will probably surprise most people to know that it is not mandatory to display this certificate and if there are failings the council cannot insist that they are advertised. Only in the extreme case of closing the premises is there an effective means of reprimanding poorly performing establishments. It might need a change in legislation but shouldn’t we insist on all food premises displaying their Food Hygiene Information Scheme rating prominently in the premises? Shouldn’t there be an easily accessible website which tells you that a restaurant or a take-away that you are thinking of using has high standards for food hygiene? I've written to Richard Lochhead MSP the Cabinet Secretary responsible for food safety to ask for his views. A lot of effort is going on here and a significant amount of public money is being spent on food safety, we shouldn’t be coy about sharing the information. Restaurants and take-aways should have nothing to fear from full transparency. It would tell its own story about any establishment that didn’t want full transparency. We should be concerned about keeping the public safe and ensuring that they are as well-informed as possible. I'm calling on Dundee City Council to re-think its stance on a pedestrian crossing near to the junction of Blackness Road, Ashbank Road and Seymour Street. I'm a local resident shared constituents concerns with regard to the crossing. This issue has been raised with me by many local constituents including elderly residents and the not so old. I am concerned that the City Council appears to have dismissed residents concerns about crossing Blackness Road at this point. 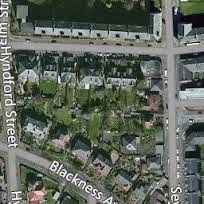 This is a very busy area with a lot of traffic and also a number of Sheltered Housing facilities in the vicinity. I think that Dundee City Council should engage with the local community and look at ways of improving road safety here, including revisiting the issue of a pedestrian crossing here. I will be speaking to officers in the City Development Department to ensure that this issue is looked at. I want to know that the council is doing all that it can to promote road safety in this area for my constituents. Changes to Admin Staff in Secondary Schools - Why not listen to trade unions? On Monday at the Education Committee the only item on the agenda was a report on the Review of Support Staff in Secondary Schools. This document outlines plans to change the roles of administrative staff in secondary schools. The meeting heard from a deputation from UNISON which outlined the concerns of their members. I have also spoken to members of the GMB about their concerns about these proposals, their view was that there has been no effective consultation with staff or trade unions. I am also unconvinced with the rational behind the plans which will mean cutting staff from Harris Academy for example. It was for these reasons that my colleague Laurie Bidwell put forward a very modest proposal to postpone the decision on this issue. At the Education Committee there are some non-councillor members who can vote including teacher and church representatives. This meant that the result of the vote was 16-16, the policy was then voted through on the casting vote of Cllr Stewart Hunter. It was a shame that the SNP Group were the only people on the council who were unwilling or unable to listen to the views of trade unions. I was disappointed to read about funding problems for the Fire and Rescue Service. I think that it is important that the Scottish Government looks for ways to protect the budget of the Fire and Rescue Service. The Scottish Fire and Rescue Service protects all of us and needs to be properly funded. In 2009 and 2010 I was a member the Tayside Fire and Rescue Board and in each of those years the board voted against proposals to downgrade Balmossie Fire Station. I want to make clear my view that two very clear local democratic decisions have been made with regard to Balmossie Fire Station within recent memory and that it would be a travesty if this issue was revisited in the near future. I am also clear that areas should not be played off against each other, if there is a need for investment elsewhere we must ensure that is considered on its own merits. The Scottish Fire and Rescue Service is doing a good job in our communities protecting us every day of the year. I think that the Scottish Government and other local representatives need to look at ways in which we can give support to the Scottish Fire and Rescue Service. I also think that it is very important that any major decisions about local services are subject to robust local scrutiny, including with democratically elected representatives. 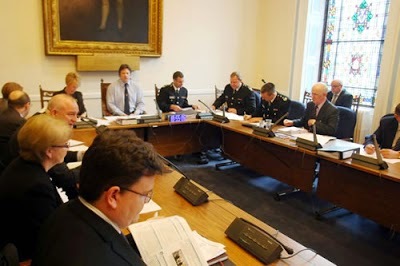 At Monday evening's Policy & Resources (Police, Fire & Community Safety) Committee there were a couple of reports about deliberate fire raising. In the quarterly performance report by the Fire & Rescue Service we read that 124 deliberate secondary fires in the first three months of the year. Secondary fires is a term which covers the majority of outdoor fires including grassland and refuse fires. Of those 124 fires 69 were refuse fires, including 33 wheelie bin fires, 8 small refuse containers, 5 large refuse containers, 3 were in refuse tips and 20 were loose refuse. The subsequent report of funding for community safety included £5,000 for the removal of rubbish deemed a risk to life or property. In terms of the wheelie bins and other refuse material the cost to the council is at the very least £5000. It also costs around £2000 on average for a fire appliance to leave the fire station under blue light conditions. I am clear that first and foremost those who set fires are responsible and the full force of the law should be used against them. These fires put the lives of firefighters at risk, they put the lives of the public at risk and they cost taxpayer an unnecessary amount of money. I think that the council should be looking at ways to make sure that it is doing what it can to spend money to help prevent fires. There is a need to look at ways to spend money to save money for the council tax payer in Dundee. The council’s £5,000 for environmental clean-ups is a drop in the ocean, and one of the positives to come out of Monday’s debate was that the chief executive acknowledged that we need to spend more on fire prevention. This really is spending money to save money. Roseangle Playpark Official Opening - Well Done! On Friday morning I was delighted to join many local residents and the local parents who made the refurbishment of the Roseangle Playpark happen at the official opening of the facility. It was a great day and it was great to see so many families enjoying these excellent facilities. 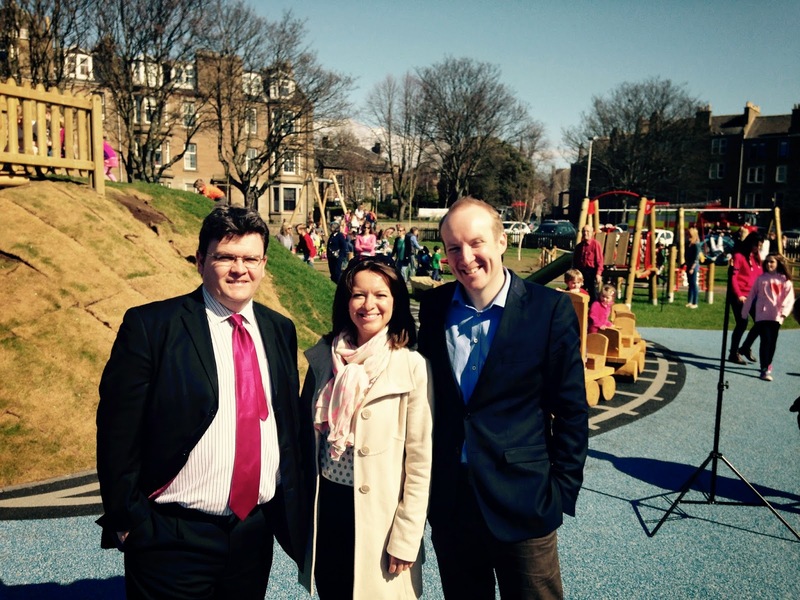 I am delighted to see the refurbished playpark opening. This is a magnificent achievement by the local parents who decided that they wanted to improve the facility. Well done to everyone concerned. I have been pleased to support this campaign from day one. I hope that the playpark will be well used by local residents and will be much-loved by young people. I hope that the council and local residents elsewhere in the city will be inspired to look at how play facilities in their area can be refurbished. Every child in the city should have easy access to great play facilities. I will be meeting with council officers, in the near future, to discuss how facilities like this can be provided for every community in Dundee. Once again well done to everyone involved in the refurbishment. As I have said many, many times procurement is important to the economy of the city. I was disappointed to read in this morning's Courier about local businesses who feel that they are being excluded from getting business at the V&A and waterfront. Dundee City Council and the whole public sector in Dundee should be trying to maximise the local economic benefit of investment like the V&A and the Waterfront development. It make no sense for the Dundee taxpayer's money to be invested abroad and for Dundee people to even loose their jobs as a result of their own money being invested unwisely. I’ve made the point before about using public procurement to maximise the benefit for local people; whether apprentices, subcontractors or just using local materials. It isn’t simply about being cost effective, there is a need to balance the environmental impact and local employment benefit, and consider the advantages of stimulating the local economy. Often the cheapest option is not always the best value. For example, if money is spent locally, that will tend to get recycled back into the Dundee economy, we can also maximise value from local procurement. We hear claims that the council is doing its best in terms of employment, yet time after time we hear local people and local businesses say that they have missed out. I would like to wish everyone who is celebrating Easter a very Happy Easter! You might like to listen to this traditional anthem for Easter sung by Dundee's own Cecilian Choir. 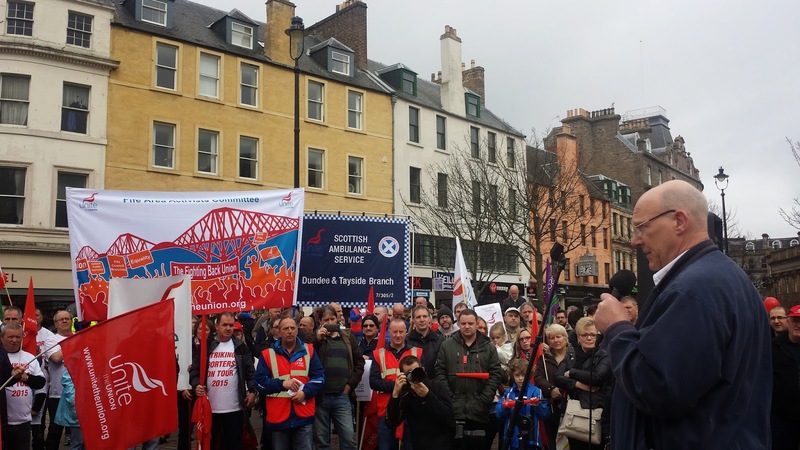 On Saturday I was pleased to join a large number of people marching from the Unite offices to the City Square for a rally in support of the porters at Ninewells and Royal Victoria Hospitals. As a trade unionist I have been pleased to support the two rallies which have been organised in support of the porters. Unite say that there have been errors in the banding grades given to porters at Ninewells and Royal Victoria Hospitals. This means that they are being paid less than their colleagues elsewhere. As one of the councillors for both hospitals I am happy to support them. I was appalled to hear at the rally that NHS Tayside say that they have a document that proves their case they just cannot find it. This is ridiculous. It is also important that the local SNP make their views known on this as they include the Health Secretary amongst their members. It is clear to me that people do not take strike action lightly and therefore we should listen very seriously to people who are prepared to take strike action. People should receive a fair day's pay for a fair day's work and a solution needs to be found to this problem. I was shocked to hear of the untimely death of Mrs Marion Myles. Mrs Myles was the headteacher at St Joseph's Primary School in the West End. My daughter attended St Joseph's Primary School and I knew Mrs Myles over a number of years both as a parent and as a local councillor. This is very sad news for her family and for everyone associated with St Joseph's Primary School. I was always very impressed with her commitment to the school and to the broader local community. I think that she was very popular with the pupils and very well thought of by everyone she came into contact with. Above all Marion Myles was a very nice person. At this very sad time my thoughts and prayers are with Marion Myles and her family and also with the school community at St Joseph's. 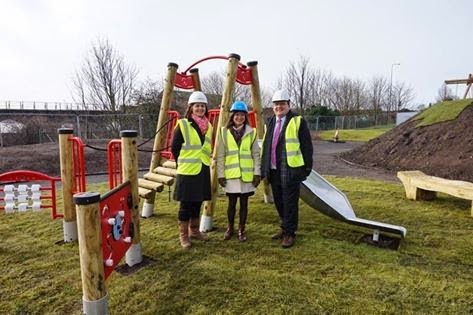 Along with my colleague Jenny Marra MSP this morning I visited the site of the Roseangle-Play Park to look at the work which is going on there to refurbish the play-park. Both Jenny and myself are long-term supporters of the refurbishment and we were delighted to see the refurbished play-park taking shape. This is going to be a real asset for the West End. It will be enjoyed by families from far and wide. I would like to pay tribute to the hard-work of the parents and other members of the community who have made this refurbishment possible. 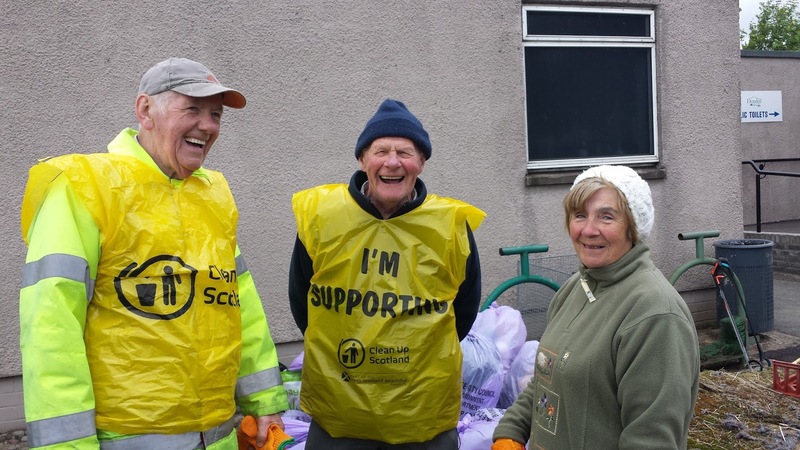 It is great to see local people making a real difference to their communities. As Labour's Environment spokesperson on the council I will be looking for ways in which the council can refurbish and enhance play-parks across the city and looking for ways in which we can learn from the excellent work which has gone on here. 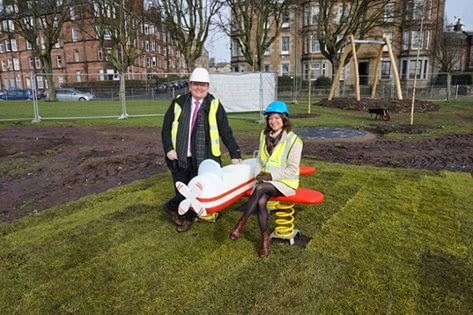 I am looking forward to the play-park being ready to re-open in April and I know that it will be well-used and appreciated by children and their families across the West End and beyond. Once again I would like to congratulate Sharon Dickie and her team who have pushed this project to this stage.